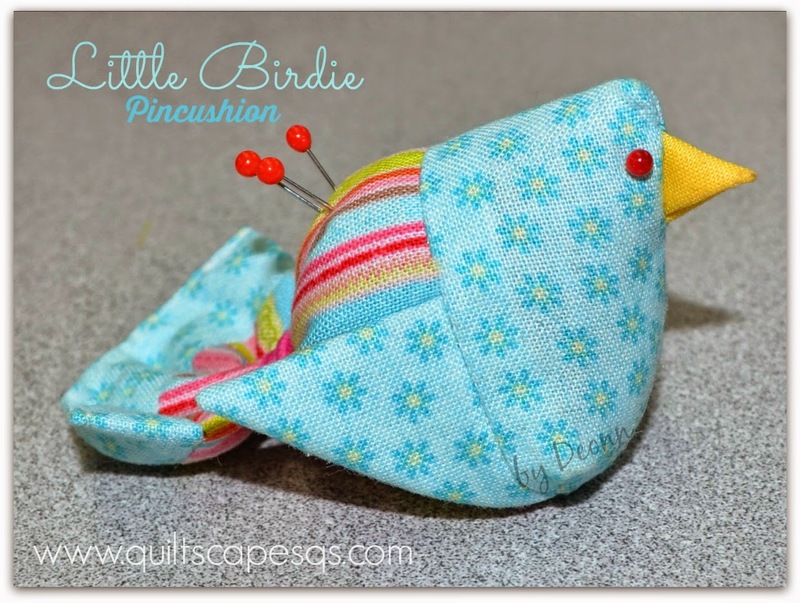 The free tutorial for this adorable little pincushion is now available HERE. 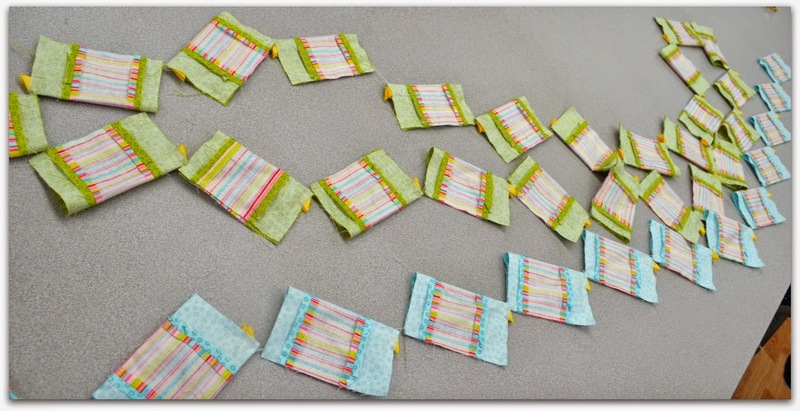 Make a sachet by adding a little lavender or a few drops of essential oil to the stuffing. 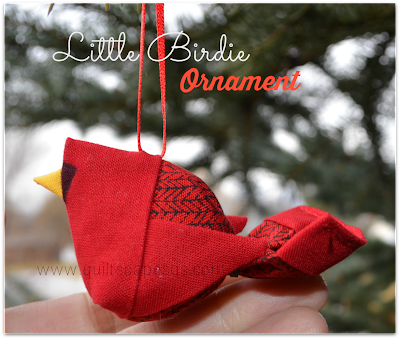 Stitch a folded ribbon or string into the center seam between the wings and you've got an easy Christmas ornament. Glue a hair clip to the bottom and clip it to random places. Glue your Little Birdie to a large button base for more stability. Insert a 1" magnet with the stuffing then stick your Little Birdie to random places. 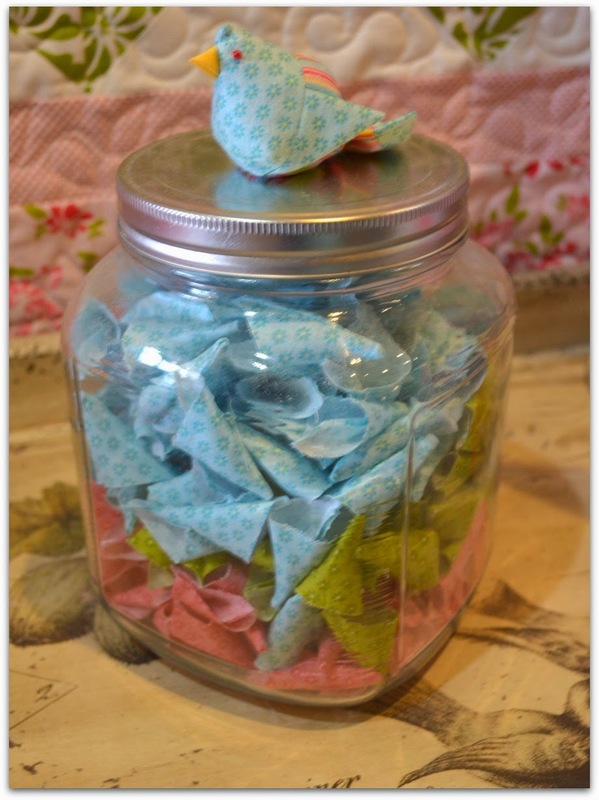 UPDATE: See full instructions to make a flock HERE. Glue 8 sets of wings to each 2-1/2" strip for bodies, stitch to 2-1/2" strips for head/tail, then cut apart. Fold each bird in half, insert beak and chain piece. Ready to go to Quilt Market! 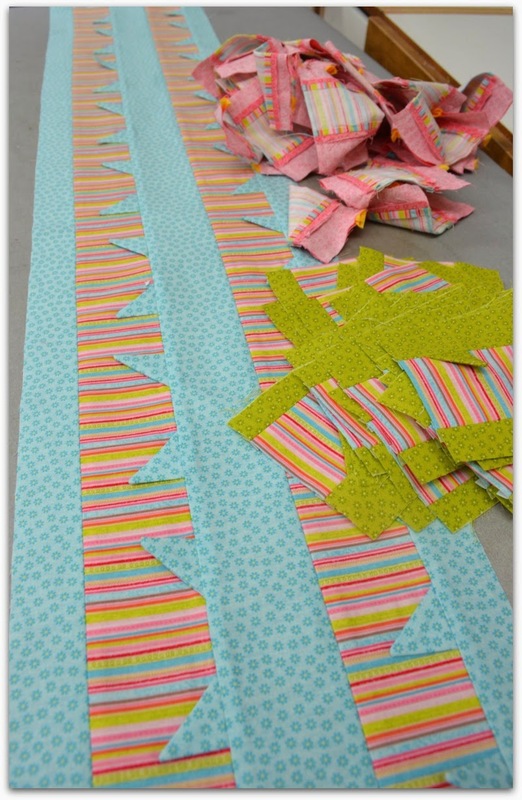 And how to meet quilty friends... here are just a few snapshots. She HAD to make one, her name is Byrdie! OMG, you made so many, that was a lot of work! Soooo cute! They are so tiny and great for making friends! Your birdie turned out so cute! Heheheheh... You are too funny my friend! Here's how you make 146 at a time... Good to know! Although... :-) Thanks for the awesome time and fun photo shoot!